TIP: Feel free to experiment with adding extra vegetables, nuts, dried fruits or different grains into the pilaf stuffing. Cook 1 ½ cups of the rice according to package instructions. Cook the other half according to package instructions but also add in the saffron and garlic cloves while cooking. Cook the wheat berries according to package instructions. Once cooked, combine all the rice and the wheat berries. Combine the spices to make a rub. 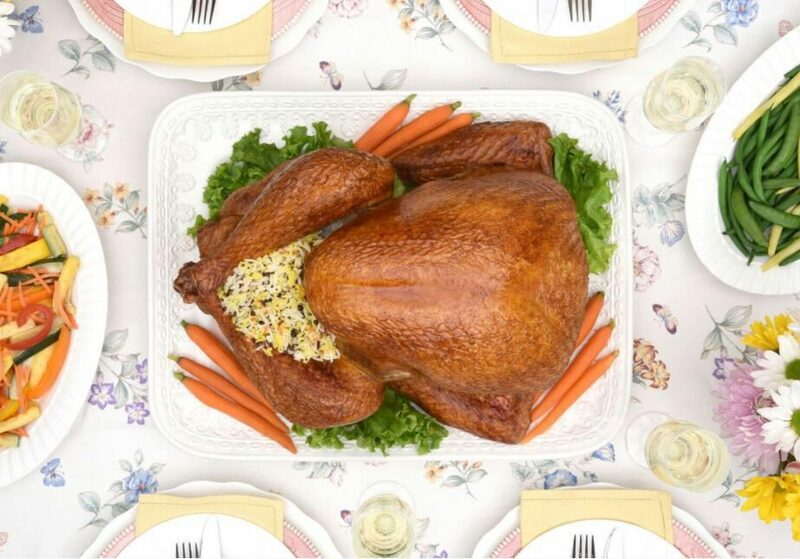 Sprinkle generously onto the turkey bird, inside and out. 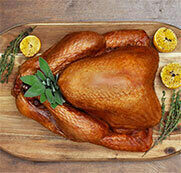 Place the bird turkey into your roasting pan. Add the turkey broth.